For many a home is their most valuable asset. Because of this, it is important that the home be properly protected. Researching homeowners insurance can be confusing, especially for a new homeowner. Knowing what’s covered and what’s not covered is a must to insure you know what to do and how to handle things in case the need arises. 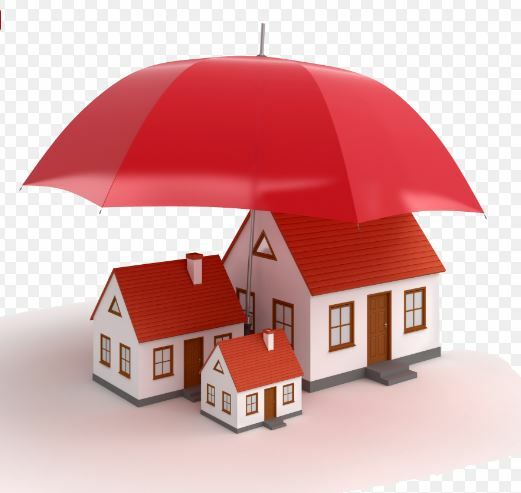 Homeowners insurance typically offers a broad range of coverage’s to help protect your home. Some of those coverage’s help protect more than just the physical structure of your house. A typical homeowners insurance policy helps cover damage to your belongings and other structures on your property, it also offers liability protection to help protect you in certain scenarios. (1) Dwelling protection. This coverage typically covers your home and attached structures, like a deck or attached garage. (2) Personal property protection. From furniture to electronics, this coverage may help pay to replace belongings that are stolen or damaged by a covered loss. (3) Other structures protection.This coverage may help pay to repair or replace structures on your property that aren’t attached to your home, like a fence, detached garage or shed, if they are damaged by a covered peril. (4) Family liability protection. Accidents can happen. Liability coverage may help protect you if someone is injured on your property and you are found legally responsible for damages. (5) Additional living expenses. This coverage may help you pay for temporary increased living costs, such as hotel bills, if you are unable to stay in your home after a fire or other covered loss. Unfortunately, not all disasters or damage to your home is protected under a basic homeowners insurance policy sometimes an excess policy/rider or an additional insurance policy is necessary. Included within those events which are not covered under a basic homeowners insurance policy are: (1) floods; (2) mold; (3) sewer backups; (4) sinkholes;and, (5) termite infestation. When obtaining a homeowners insurance policy, an insurance professional should be contacted to discuss and determine the proper limit/amount of insurance which should be purchased. The amount of dwelling coverage typically should be enough to pay to rebuild a home in the event of a total loss. The limits of coverage for other standard coverages in a homeowners policy are figured as percentages of the dwelling limit. For example, if a dwelling policy is purchased in the amount of $300,000, the remaining limits on a standard policy will typically be: 10% of dwelling for other structures on the property, 50% of dwelling for personal property and 20% of dwelling for Loss of use. The amount for a deductible, the amount you would pay out of your own pocket before insurance coverage issues payment, should also be discussed with an insurance professional. This amount should be the amount you are prepared and financially responsible to pay out of pocket in the event of a loss. There are many variables with homeowners insurance policies. Remember to do your due diligence and get multiple quotes and research your home prior to choosing a final policy.